Free download WinMetro latest version.WinMetro transforms your Windows 7 desktop into a tiled display that mimics the look of the Windows 8 interface in style and substance. By displaying useful shortcuts such as weather, calendar, news, stocks, and frequently used programs with highly recognizable large icons, WinMetro turns your desktop to a productive work station with fast access to all your programs and files. WinMetro, as a FREE, light and easy-to-use tool, offers direct control of restart, shut down and sleep options for your PC, saving the trouble of switching between traditional Start Menu and Metro Start Menu. For users of Windows old versions, upgrading directly to Windows 8 may be troublesome and costly. 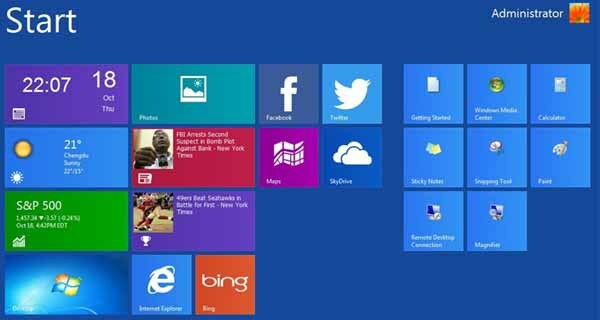 With WinMetro, you can effortlessly get an insight of the tile based UI of Windows 8 without making any change to your system.